Based on study results (below), Emu oil appears to re-awaken hair follicles by stimulating the longer growth phrase. Emu oil has multiple uses for both cosmetic and medicinal alternative treatments. In this article, we will focus on how emu oil hair growth works as well as popular brands that provide high–quality and pure emu oil. You are probably familiar with different types of essential hair oils such as coconut, argan or rosemary oil. While emu oil still belongs to the natural oil category, its origin is slightly different. How is emu oil made? Emu oil comes from the fat of an Australian bird called an Emu. The bird is like an Ostrich, but a smaller version. 70 percent of the emu oil ingredients are considered to be “unsaturated” fatty acids. Opposite to the “saturated” fatty acids that always increase human health risks, unsaturated fatty acids provide many benefits, especially to your cholesterol levels. Emu oil is gaining more popularity among people because it first decreases the level of bad cholesterol (LDL) and also increases the good cholesterol (HDL) thanks to its high content in unsaturated fatty acids (omega 3, 6 and 9). What benefit can you expect from Emu oil for hair growth? How emu oil stimulates hair growth is closely related to a substance called phospholipids according to MPB Research. In short, we as humans do not have phosphorus in our skin. When elements that contain phosphorus contact our skin, our body automatically blocks it from being absorbed. Interestingly, emu oil does not contain any phospholipid which makes a perfect candidate for great penetration to human skin. In Dr. Michael Holick’s research from Boston University’s School of Medicine, he talks about the relation between emu oil and hair growth. Based on his study, he found out that emu oil reawakens hair follicles ( 80% increase in hair re-growth) by stimulating them to be in the growth phase for a longer period of time. The research adds that people who have tried emu oil on their scalp as hair loss treatment had more prominent results on frontal hair regrowth. Emu oil isn’t only used for treating hair loss. Australians have historically used the oil for joint or muscle pain, burns, and shingles due its anti-inflammatory properties. Other popular cosmetic uses for emu oil include eczema, scars (especially acne scars), stretch marks, and as a facial moisturizer. For instance, the same research done by Dr. Holick also reveals that refined emu oil increased 20% of DNA synthesis in cells as well as skin thickness. It’s not surprising that we see more emu oil based skin products such as emu oil moisturizer or an eye cream for wrinkles. As mentioned earlier, Dr. Michael Holick topically applied the emu oil to subjected rats three times a day, NOT three times a week. This means that in order to get noticeable hair regrowth results, you really have to be determined. The good news is that emu oil is highly penetrable, so it’s unlikely to leave much residue or greasy oil on your scalp compared to using other natural oils. 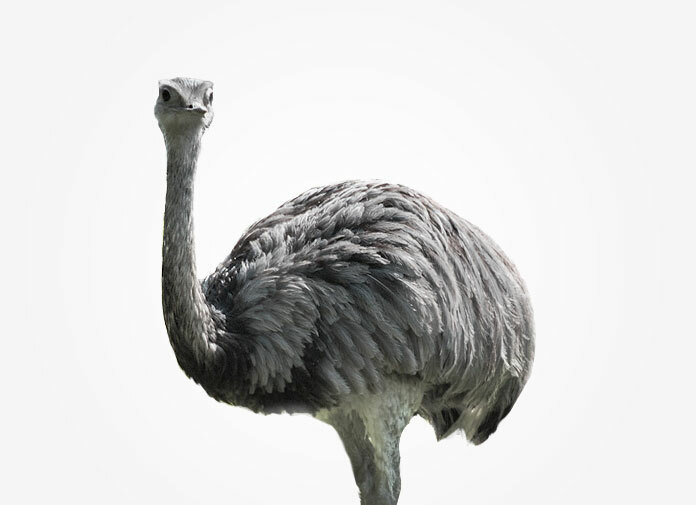 According to the American Emu Association (AEA) website, not all emu oil has the same quality. The purpose of the association is to provide people with trustworthy resources for choosing high quality emu oil products. Emu oil manufacturers that have passed AEA standards for processing procedures get a certification from the association that proves its refined quality. However, this doesn’t mean that emu oil that are not AEA certified are not high quality. Each country has its own standard of certifying procedures to guarantee quality. Where can I buy emu oil that has Grade A quality? Pro Emu Oil is 100% pure emu oil. The manufacturer of the oil emphasizes the fact that their emu oil has been tested by an American Oil Chemist Society (AOCS) certified chemist to guarantee the highest quality. AGA stands for Australian Growers Association. The Australian Gold Emu oil also provides grade A quality that is 100% pure. The company directly purchases their oils from the emu farm to guarantee freshness. Pure premium golden emu oil is another popular option on Amazon. The oil is specifically made for external use only and is focused on hair and skin. The product has received numerous positive reviews especially for the use of hair. When you see their review highlights page, the first one you will see is a review from a woman who had used the emu oil to recover from hair follicle damage due to braiding too often. Have you used emu oil to stimulate hair growth? Share your experience below.